Check out some of the projects we’re particularly proud of. These reflect the quality of our solutions and our inventive approach to helping clients create unparalleled immersive experiences. 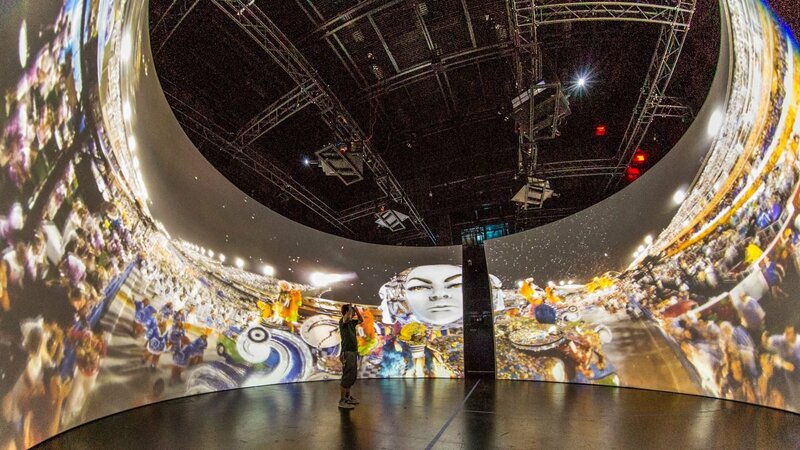 The Cyclorama allows us to create a shared, stereoscopic VR experience for dozens of simultaneous viewers. With WorldViewer we can load content from 360 video rigs, 3D animation, and real-time game engines. Our project had many unique requirements, and The Elumenati showed tremendous flexibility to meet these goals. 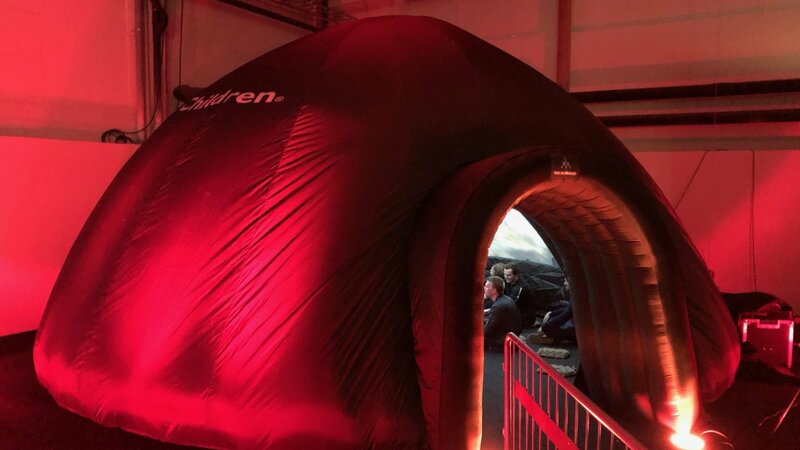 We relied on The Elumenati's WorldViewer .... Their platform-agnostic tool worked seamlessly in the dome and made it relatively simple to author not only the live, narrated shows we presented, but also displayed all of the autorun content. 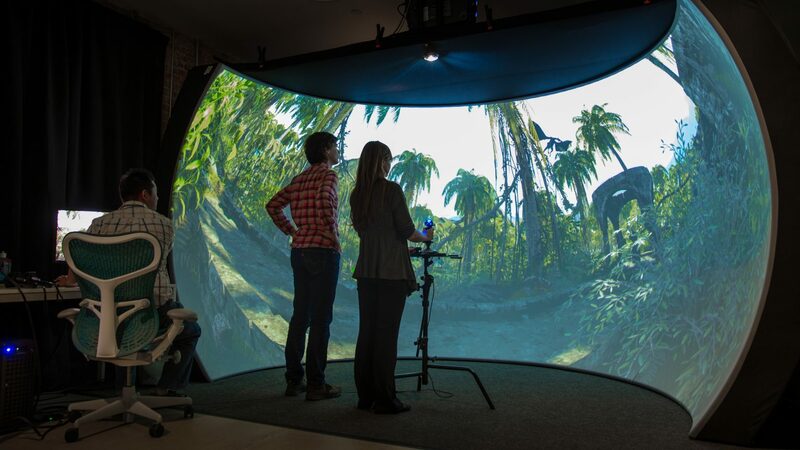 Elumenati’s Cobra Panoramas take the simulators in our new Kinetic Zone to the next level. 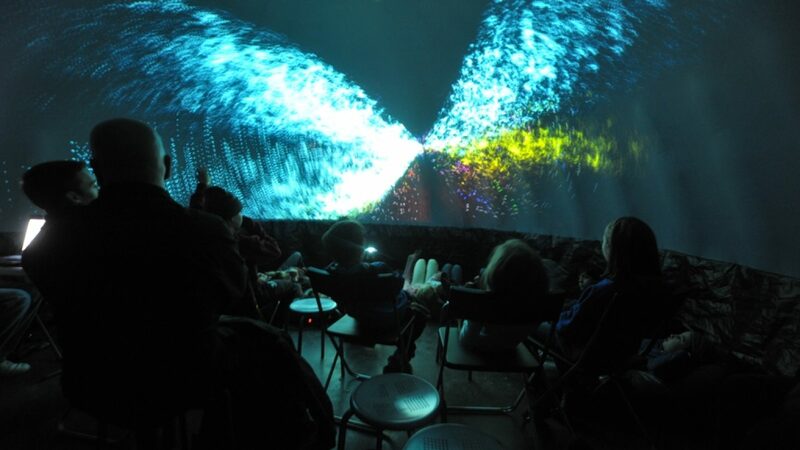 They enable visitors to explore physics in a visually dynamic setting. 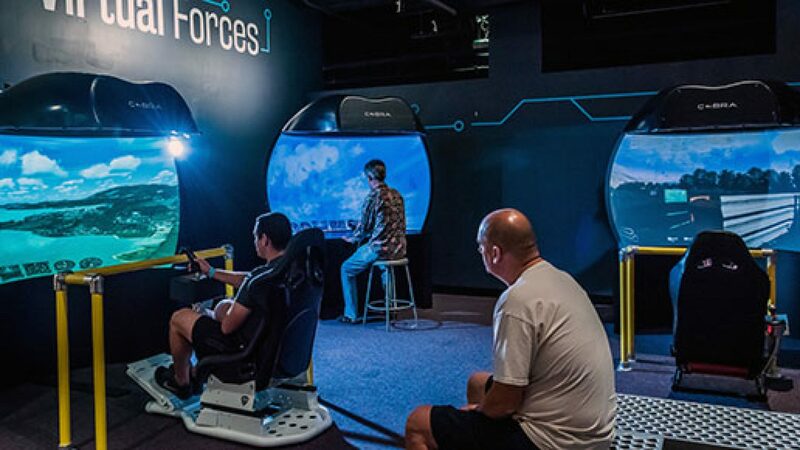 Within this exhibit, we are able to provide a virtual world that presents real world forces in motion. 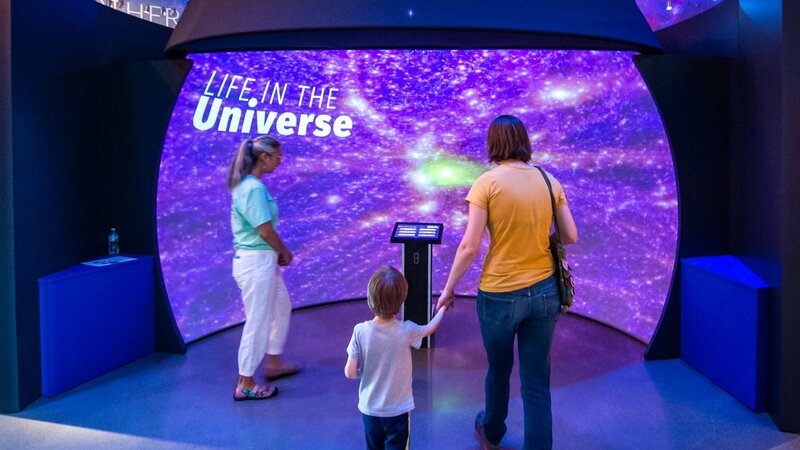 The GeoDome Panorama allows the Bell Museum staff to incorporate new media to keep content in the exhibit current, such as displaying video of the launch of Parker Solar Probe, exploring a Mars dust storm, and celebrating NASA’s 60th anniversary. We also use the daily updated NASA Eyes software. 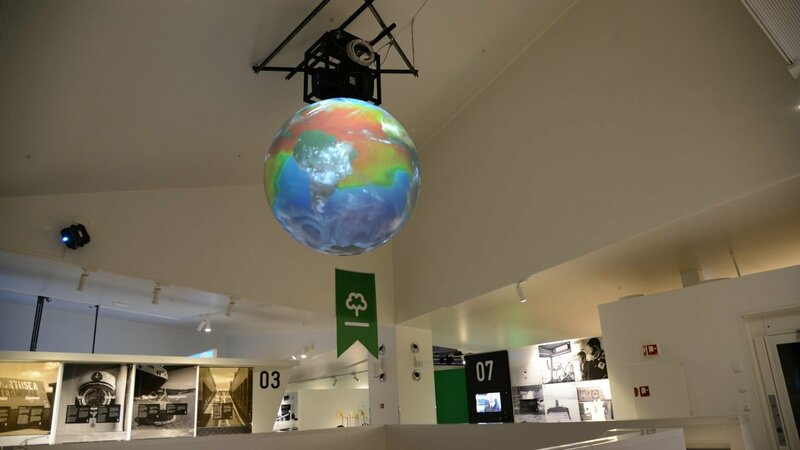 Our new Elumenati projection system has made our 6' globe come to life. 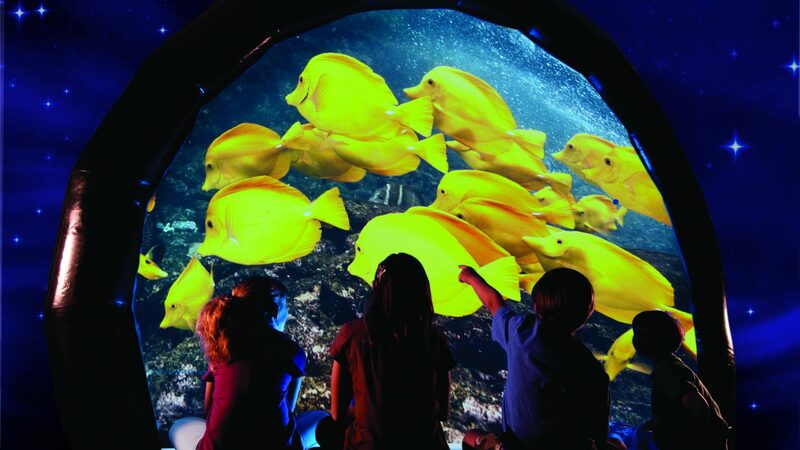 The brightness and quality of the projected image make a major difference in the impact the globe makes on viewers. We are extremely happy and look forward to adding more content for our guests to explore. 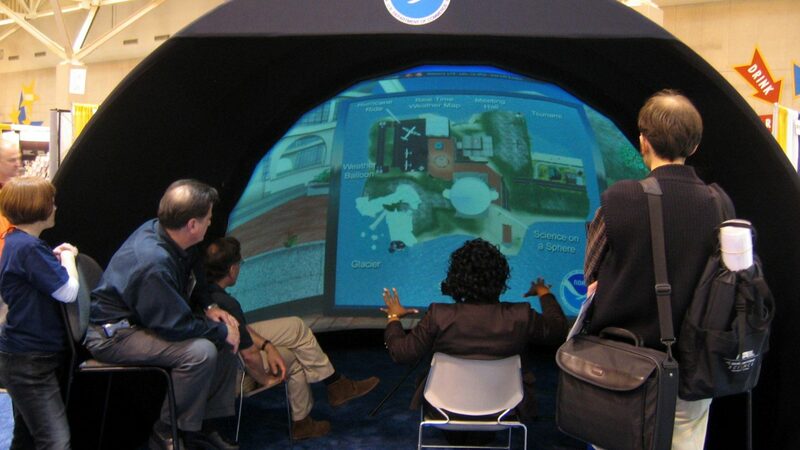 The GeoDome Panorama enables Magnopus to create immersive experiences for our wide range of clientele, and is the perfect environment for group virtual reality reviews during our creative process. People told me they had never had an experience with content like this before. The vast majority of people wanted to stay and watch all of our content. People in all age ranges were really invested in each story – even a group of teenage boys who were joking around when they came in came to me afterward to tell me how emotional and compelling our work was. 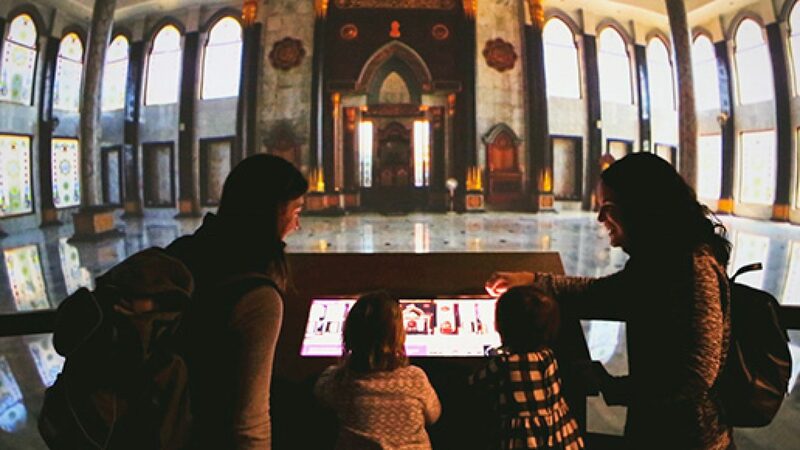 When the Children’s Museum of Manhattan began work on our exhibition six years ago, it was our dream to be able transport visitors around the world. 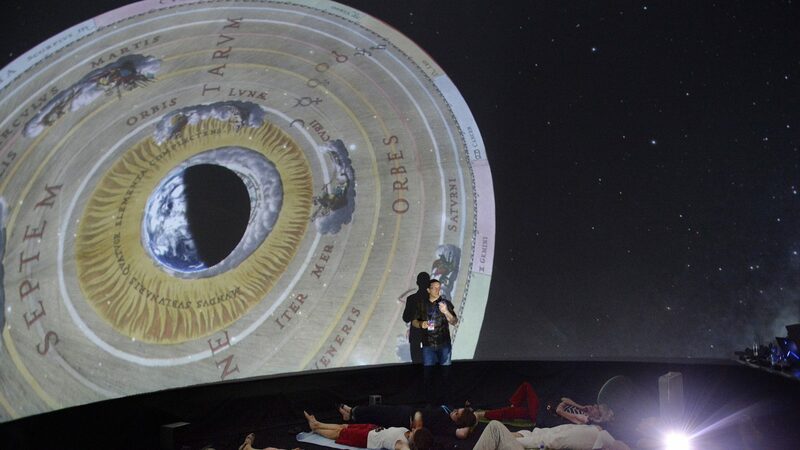 With the help of the Elumenati’s amazing GeoDome Panorama and WorldViewer, that dream became a reality. 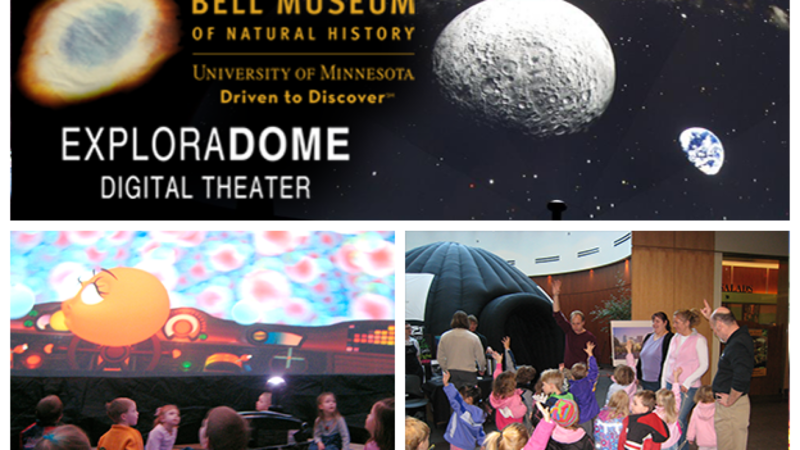 The Bell Museum + Planetarium Exploradome uses a GeoDome Theater to bring the wonders of the universe to schools and community sites. They’re the founding member of a network of GeoDomes in Minnesota, Wisconsin, North & South Dakota. 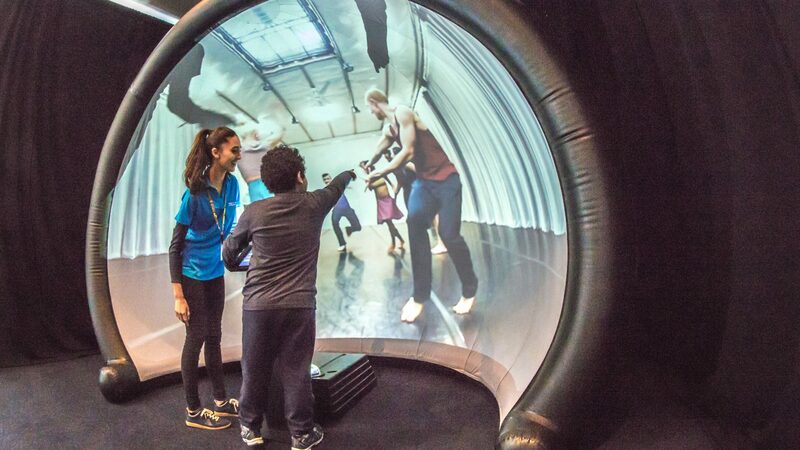 Children and families can dance along with world class dance companies in a GeoDome Portal with WorldViewer, in CMOM’s new Let’s Dance! exhibit. 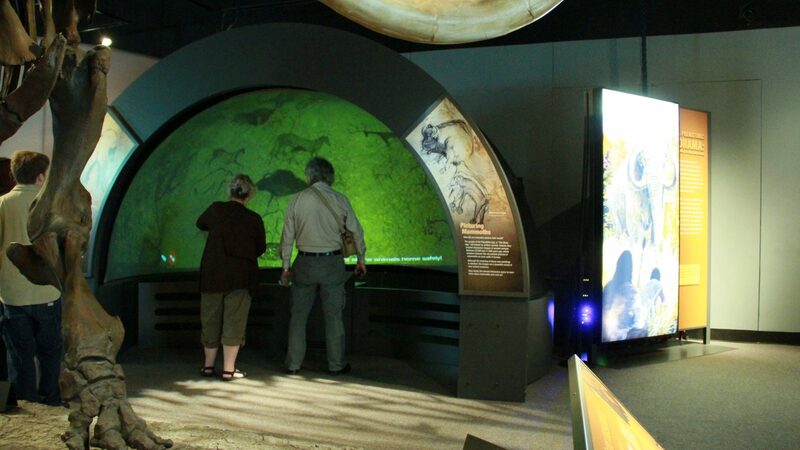 The Cave Art interactive installation uses Wii controllers inside our open dome and projection system to teach museum visitors the theories of cave art. The GeoDome Portal at RENCI brings the latest communication tools and technologies to bear on pressing problems, and illustrates the impact of development on environmental balance. 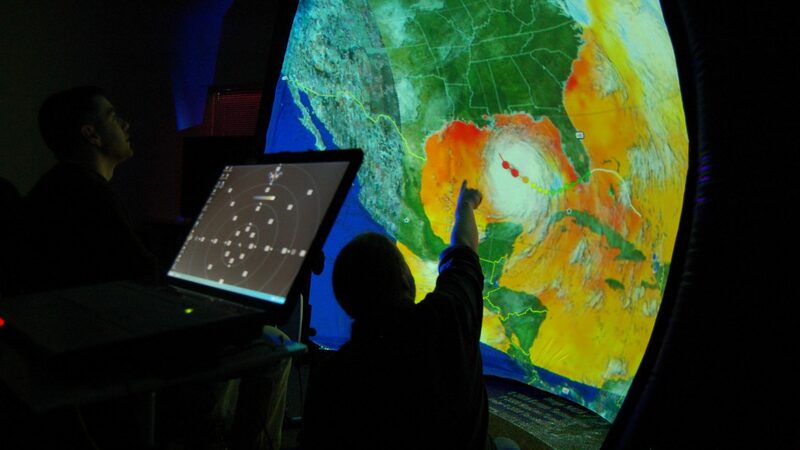 A GeoDome Portal in the Observatory classroom welcomes about 125 students a day and hosts additional shows during evening hours. 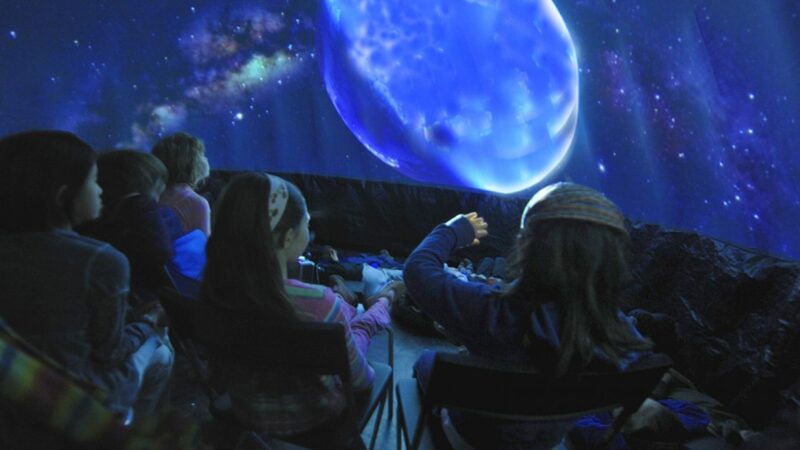 Lehigh’s GeoDome brings an outreach program to students and to families who visit the DaVinci Discovery Center of Science & Technology. It was also recently featured at a camp for students with autism. NOAA Pacific’s GeoDome is used in local outreach programs to educate and inspire stewardship through content focused on critical issues affecting global and local ecosystems. Several NOAA centers have GeoDome Portals or Elumenati interactive kiosks, and we’ve partnered on two recent grants awarded for environmental literacy education. The latest dispatches from the field on our projects, installations, and product development. Sign up and stay tuned.